You can’t go wrong with stock footage. One of the reasons you’ll find success in this sector is because video is becoming an increasingly popular medium. Syndacast has predicted that this year, 74% of all internet traffic will be video content. What can we make of this information? You’ve got to catch up with this glorious trend and get your foot in the door! The demand for video keeps growing which is why you won’t be mistaken to add it to your portfolio. Marketers are always on the lookout for visual content but this year, it’s more about the versatile videos that help communicate a message. Understanding what clients are looking for and knowing a few tricks to implement your ideas will set you up for success. Some will tell you shooting stock videos is easy, it is a short 10 seconds after all. I hope you don’t take this the wrong way, but shooting stock footage requires a lot more preparation than you might think. It’s not easy money, success doesn’t come overnight and it won’t be your stable source of income. Think of stock footage as an extension of your existing body of work. Rinse the disappointment out, because despite the misconception about stock videos, it is possible to break through. If anything, including stock videos will do wonders for your portfolio. This guide will help you monetize your stock footage in a short amount of time and help you make your portfolio more versatile. A versatile portfolio will in return catch the attention of prospective clients and become another medium of expression for you. Doesn’t that sound like a treat? One of the important points we’ve discussed in one of our first stock footage tutorials is that you need to choose which themes to work with. Knowing what’s in demand can narrow down your choices and give you guidance. Decide on a concrete theme and follow through using our tips. The lesser known fact about shooting stock videos is that it takes more time preparing for the shoot than the actual process of filming. Once you’ve settled on your topic, devote your time location scouting from home. Look at venues, outdoor and indoor sets and make some decisions on what kind of environment you need to capture. Keep in mind that although your video will be short, the success of your video depends on the overall production design. How your location and models look on camera becomes much more important than your equipment. This is why it is crucial to find locations that can complete this part of the equation. Would you like to save yourself time and unnecessary expenses? Find a great location and make the job easier for yourself. The most tempting thing to do when you decide to shoot stock video is to go out there and just shoot. The most important lesson you can extract here is that you simply can’t wing it. You’ve seen your perfect location, now take your time to create a storyboard. You don’t need to be a talented artist to create storyboards. Do it the best way you know how. 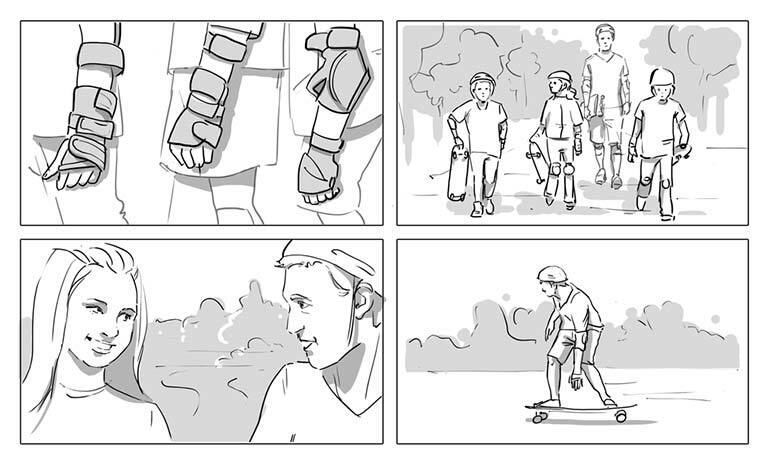 Storyboards will help you know exactly when to shoot and at what angle. It can also help you coordinate your models so they understand the timeframe of the video. If you miss this step, you’re more likely to miss important shots that you had in mind during the brainstorming stage. Most of the time, you already have an ideal shot in your mind. Get these thoughts down on paper. You might be surprised at how much this will help you, your team and your models when you’re shooting on location. Under budget and time constraints, you probably won’t get to redo your photoshoots if they include a team of people. Curating more complex photoshoots requires much more planning time. Don’t put all your eggs in one basket when you’re filming. The one ething you know for sure is that clients will look for certain topics and they will want to have options to choose from. Give them versatility – shoot from different angles. Shoot your videos wide, close up and medium of every single scene. 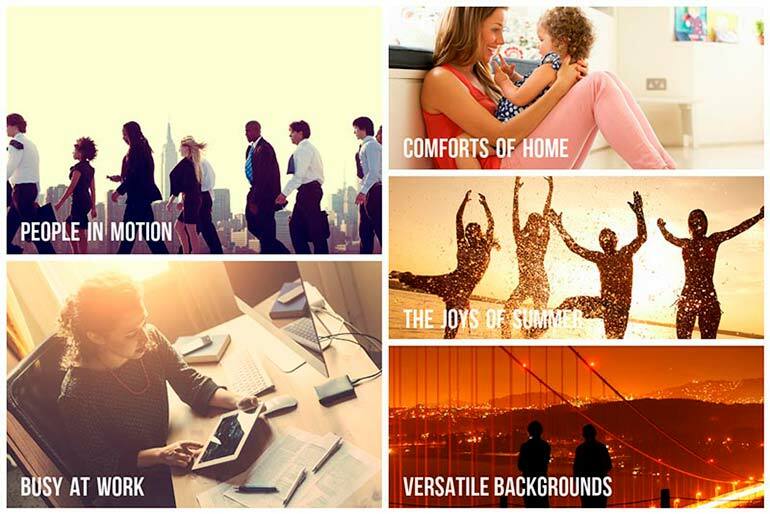 Having these variations will give clients more options and ensure that you make that sale. Keep this point in mind as you’re storyboarding as well. The objective is to get the most out of your location and shooting time. 4. Have you kept it simple? Stock footage isn’t about fitting in a grand, intricate scene with a plot twist and movie drama. Remember that these videos are short, some as short as 7 seconds when you’re done editing. Keep your camera movements and action shots short and most importantly simple. One of the issues with longer videos is that they have less chances of being viable for potential clients. The more you include, the less likely it’ll be suitable for a variety of purposes. You can have unnecessary camera movement, elaborate plot that is irrelevant, too many models and so on. Eliminate this issue by making more videos during the editing stage but keep it short and sweet. Another good resource is the Depositphotos database where you can see what video files are popular and learn from your peers. Understanding what’s in demand and the style of footage that is in demand will all help you make choices that will determine your success. Don’t overcomplicate this stage for yourself – simplify. Keep it simple is a phrase you should be repeating to yourself while filming and during the editing phase, remember that consistency is king. If your camera angles are consistent, you’ll spend less time in post production. One of the best choices you can make when shooting stock footage is to keep your camera settings the same. It would be really frustrating to have lots of creative shots that you can’t edit together to make one great video. Start with a solid concept – it will be the foundation of your creative process and ultimately your winning ticket. You want to concentrate your efforts on creating highly marketable footage. It shouldn’t be too time consuming if you have a solid plan in place. Give your clients the freedom of choice and remember to keep it simple and consistent.